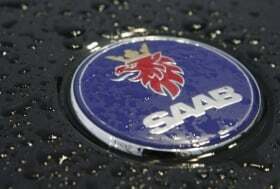 Saab's U.S. sales plunged 61 percent through November compared with the same period last year. DETROIT -- Saab Automobile and American Axle & Manufacturing Inc. have created a jointly owned company for the engineering, development and marketing of electric all-wheel-drive systems, as well as electric and hybrid driveline systems. The new company, called e-AAM Driveline Systems, will be based in Trollhattan, Sweden, with operations set to begin Oct. 1. Financial details were not released, but American Axle will maintain majority control of the venture. The company’s electric awd system can be integrated into existing platforms, minimizing vehicle architecture changes, Saab said in a news release. “For Saab, the announcement of this partnership is a major step towards a successful future as an independent company,” Saab CEO Jan Ake Jonsson said in a statement. “The new electric all-wheel-drive system will secure a leadership position in its next generation Saabs. “This joint venture will bring together Saab’s world-class vehicle engineering expertise and AAM’s extensive engineering, production and marketing capabilities,” he said. Saab will be a client of e-AAM Driveline Systems, with plans to purchase components for next-generation Saab vehicles beginning in 2012. The new company also plans to market engineering and advanced products to other automakers.